Fancy a portable windmill to power your phone? You may get your hands on one real soon. Researchers in the US have invented tiny turbines that harvest energy from the wind. Hundreds of them could be embedded in the sleeve of your mobile phone, allowing you to recharge it simply by waving the phone in the air or holding it out of a window on a windy day. 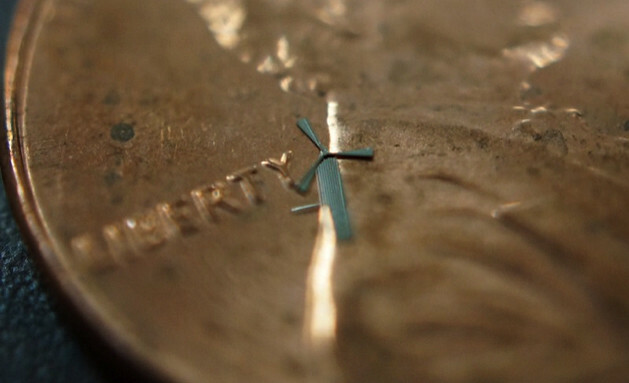 The micro-windmills, a collaboration between The University of Texas at Arlington and a technology company in Taiwan, measure 1.8mm across at their widest point - so small that 10 of them could fit on a single grain of rice. The tiny devices are assembled by stacking up layers of durable nickel alloy. They can be made on a single wafer using batch processes, meaning that thousands of windmills can be created for relatively low costs. As well as powering your mobile phone, the researchers also envisage placing windmills inside flat panels which would then be mounted onto the walls of your house. The little windmills could then generate energy for heating, lighting, security, or even that electric barbecue you've always had your eye on. Of course, this has to be put to test yet before you could start celebrating.